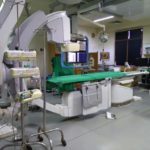 The story of a patient from Salem, in Tamil Nadu, who is in love with SSSIHMS, after two surgeries and annual review visits. From the age of 8, Devi has been having problem walking. The child had joint pain and would lean towards the side while walking. She could never walk straight, and was unable to play and run like other children. She would visit the hospital near her house, where she would be admitted for 10 days, administered medicines and thereafter sent home. This ritual continued but there was no end to her pain. She was also advised to take an injection every 21 days for the pain to come down. But unable to bear the pain of taking an injection every 21 days, the child that she was, she used to throw away the medicines without her parents’ knowledge. And so her pain and trauma continued till she was 15, when the doctor informed the parents that the child was actually suffering from a heart problem, which is what probably caused her the pain. Since she was in Class 10 then, and she had to give her board exams, the doctor advised her to continue with medicines till she completed the exams. After that the doctor said that she would have to undergo surgery. 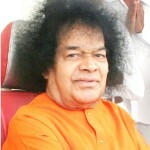 Knowing that the patient’s parents could not afford such a treatment, a good Samaritan advised them to go to Sri Sathya Sai Hospital, in Bangalore. There, they told the family, all treatment was free, and the facilities were top-class and state of the art. She came to SSSIHMS along with her parents in 2007. When she saw the hospital she could not believe her eyes, she paused to think whether she came to the right address because her idea of a hospital was totally different. “Is this a temple or a hospital,” was her first instinctive thought. She says the place looked like a devaalayam, and definitely not a hospital. By looking at the place itself the parents were relieved to great extent, and started building hope. They felt they had entered a temple, not a hospital, and their daughter would get well here. When the patient came to the hospital the parents came prepared with all medicines, especially because the patient had a lot of uncontrolled cough. 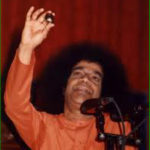 Her father advised her to keep Swami’s photo and Vibuthi next to her in bed (a devotee had given this to them), and miraculously she slept through the night without any disturbance. “It is a miracle,” she says. They were very happy at this. After the preliminary investigations they were informed about the heart ailment and the procedure that needed to be carried out, which they readily agreed to. This was totally the reverse of what they had been told in their hometown, which was immediate surgery! The procedure that was explained at SSSIHMS was a balloon valvuloplasty or medically known as Percutaneous Transluminal Mitral Commissurotomy (PTMC). She was operated upon in 2007, and every year she along with her parents has been coming for her regular check-ups. She got married after her first surgery, and is now the mother of a five year old boy. Impressed by what he saw her father would always tell her and her sister: “After I get both of you married off I will come to Sai Hospital and do Service.” Unfortunately, and ironically, her father died of heart attack soon after her surgery. Luckily for her she has a husband who is loving and supportive. She says even though he was aware of her heart ailment he was ready to marry her. She was operated in 2014 again. She is also aware that sooner or later she will require an open heart mitral valve replacement surgery, but as of now she is happy and her family too is happy. She says whatever surgery she has to undergo she will get it done only here. “I know I am in the best of hands of doctors and even more than that I am in a divine place. What more do I want?” she asks with gratitude. “The nurses even fed me and looked after me. The place is so clean and vibrant. There is so much of positivity here,” she says. Rheumatic disease is one of the most common diseases in India which affects joints, heart and other parts of the body. In general it is found that most people affected are women. Devi is one of that many.